101 years ago today, Ferdinand Graf von Zeppelin was a German pioneer of airships. 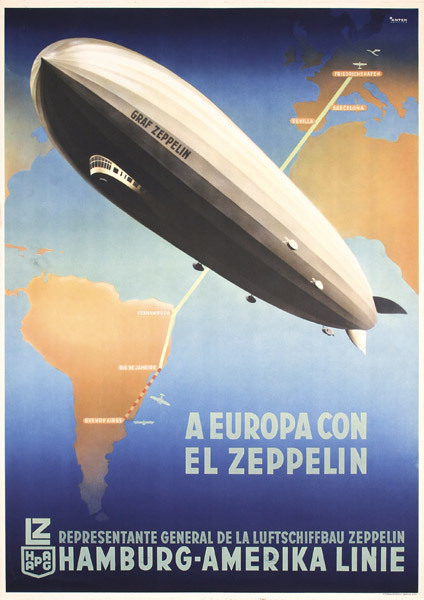 A former general and later aircraft manufacturer, Zeppelin provided both the brains and most of the investment money for the first successful rigid airship, the Zepplin LZ1. In July of 1900, Zeppelin made the first flight with the LZ1 in southern Germany. The dirigible remained in the air for 20 minutes before landing. On March 8, 1917, the great aviation pioneer died in Berlin. Next > Tomorrow (March 11) is Daylight Savings Time.